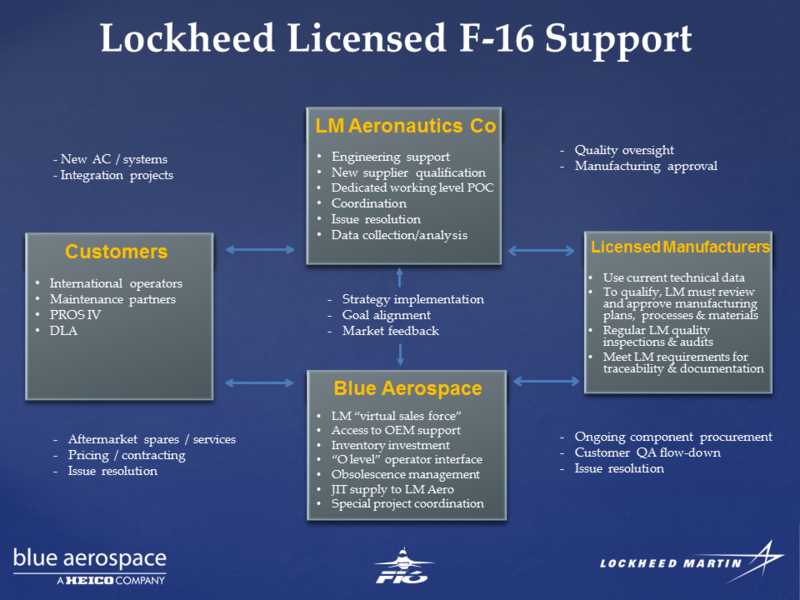 Blue Aerospace is a Lockheed Martin Aero Licensed F16 Distributor. Together with “sister” company ACT, a Lockheed Martin Licensed F16 Manufacturer, provides comprehensive “nose to tail” support for most structures and sub systems for aircraft blocks and type versions (both heavy weight and light weight). This comprehensive support includes access to current Lockheed engineering and drawings, guaranteeing that all product is manufactured and serviced according to the latest Lockheed drawings and master tooling.